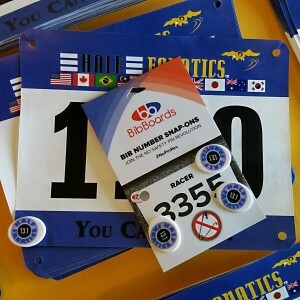 4 Pack of BibBoards Bib Number Snap-Ons with the Half Fanatics logo on the front. Never use safety pins for your race bibs again. Just snap into place.